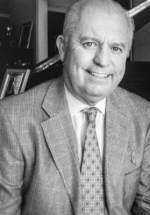 Clay Barton founded the firm with Mr. Hall in June of 1991. He has been in practice since 1973 and has developed an expertise in several areas of practice. Clay does a tremendous amount of Estate Planning and Probate Law and handles all of the firms bankruptcy cases. He has expertise in corporate and real estate transactions and his representative clients include several banking institutions and real estate agents, developers, builders and appraisers. Clay has been the City Attorney for the City of Odessa, Missouri for over 20 years and is frequently called upon by other municipalities and governmental organizations for assistance and opinions. Mr. Barton received his BA from the University of Missouri in 1970, and his Juris Doctorate from the University of Missouri in 1973. He was admitted to the Missouri Bar in 1973. He is a past present of the Missouri Municipal Attorney Association, a former Municipal Judge, and a member of the Eastern Jackson County Bar Association, Lafayette County Bar Association and the Missouri Municipal Attorney's Association.